Get Rid Of Glitter Nail Polish and other nail enamels with Sally Hansen Polish Remover with provides nail strengthening as well as good for weak, thin Nails contains Vitamin E & hydrolyzed wheat protein. 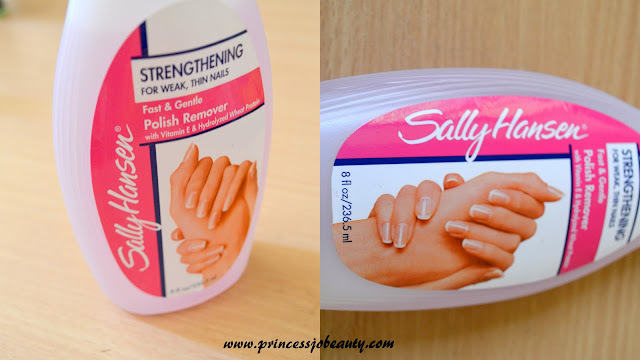 I have been using Sally Hansen nail polish remover since quite a few years, but never reviewed it before I was Introduced to it back in USA when I did not had access to REVLON nail polish remover , One thing that attracted me to this nail polish remover always is that the huge bottle in which it is packed ,because I am nail person and I definitely can't see the dirty chipped nail polishes, this is one thing that is bad beauty habit according to me, I mean if your nail polish is chipping and you do not have time to reapply it better just clean it, and let your nails breath in natural color. You do not need nail polish always on your nails but you definitely need clean hands so that others who watch you don't feel disgusted !! Imagine you go to someones home for lunch or dinner and there hands are not clean will you feel like having dinner?? Well I being honest I get turned off !! 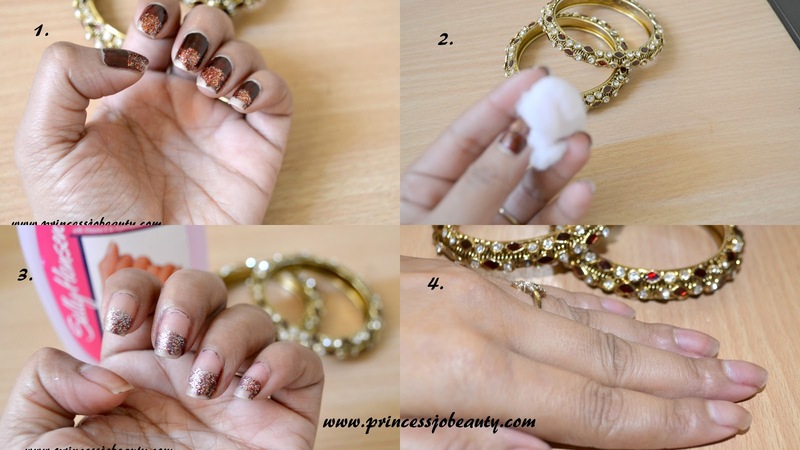 The story cut short it is easy to keep hands look clean and tidy just by keeping your nails clean the best thing is either have a beautiful nail polish on or just have clean natural nails. This Sally Hansen Polish Remover is baby pink in color ,smells good, removes nail polish quickly and gently, I wanted to show how effective it is on glitter nail polish so you can see on my nails the glitter nail polish along with OPI royal rajah Ruby , when you use this Sally Hansen nail polish remover in first swipe it removes the nail posh but it takes 3-4 swipes to remove the glitter nail polish. Though the over all process takes 5-6 swipes to completely remove the nail polishes. Over all you can remove any nailpolish including the regid glitter nail polishes with this Sally Hansen Polish Remover in just 3-4 minutes. 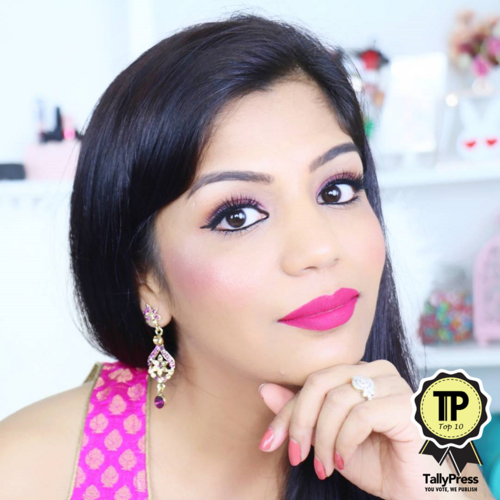 That's it you are free from the chipped nail polish, your hands look clean and nails get some time to breath as it is important to let your nails be free for sometime from the chemicals of nail polishes. Regularly using this makes your nails a bit more strong and healthy as it contains Pro-Vitamin B5, Vitamin E and hydrolyzed wheat protein . Availability :In USA in Rite aid and In Singapore in Mustafa Center. Have not found them anywhere else like in Guardian and Watsons.